Oculus’ Atman Binstock revealed that “At the default eye-target scale, the Rift’s rendering requirements go much higher: around 400 million shaded pixels per second.” After some math, you can figure out that this pretty much means a 130% upscale seems to be ‘the norm’ for Oculus. While we don’t have the final hardware yet, we can have an estimate of what it will need in terms of processing power. The closest we can get using the DK2 is by pushing the screen percentage to around 160. This is what we are aiming to achieve! Unreal can be pretty daunting when you first enter it, mainly because the engine cranks everything to 11 by default. The first thing you want to do is take a look at what is costing so much and turn off what you don’t need. Sometimes, the art team will hate you for asking to remove that extra post-process, but remember that a vomit-free experience is more important! r.AmbientOcclusionLevels 0: No ambient occlusion! It’s a nice feature, but we don’t need it; remove that! r.SSR.Quality 0: Screen space reflection is also cool, but it’s costly and we don’t need it; delete! 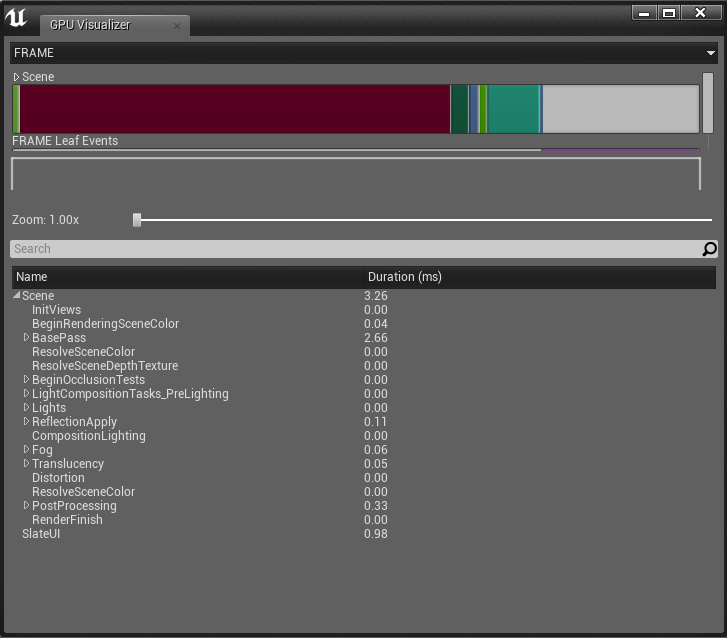 At one point, it’s hard to pinpoint what is really happening GPU-side using only the GPU Profiler. To really get a sense of what is going on, we need something to dig even deeper! We’re using a free tool called Intel GPA. We won’t go in depth on how to use the tool, but there is one important thing to know: it won’t work in ‘Direct to HMD’ mode. So, to start a capture, you need to be in ‘Extend to Desktop’ mode. The quickest way we found to take a capture was to open the editor, set GPA to ‘Auto-detect launched app’, and then run the game in ‘Standalone’. Now for the Juicy Tips! Analyze your scene: I talked about the ‘show’ commands and ‘stat scenerendering’ in my last post; this is where you want to use them to determine what your bottleneck is. Instancing Static Meshes + Foliage: If you have too many draw calls, this could be a life saver! Foliage is especially great if you want to have a dense forest or lots of smaller meshes. But keep in mind that the level of detail in foliage can easily multiply your draw calls. Also, instancing is not always the best option, so make sure it’s really going to help. Don’t hesitate to compare using GPA! Particle System Bounds: While profiling FATED, I found out that a lot of particle systems we were not supposed to see where being rendered. 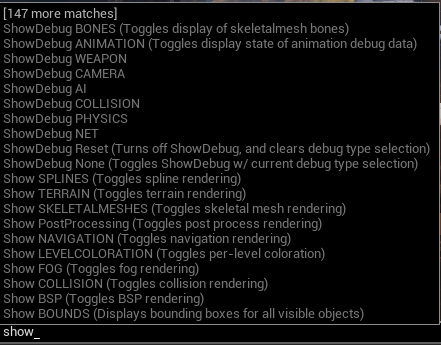 Turns out the culling of particle systems is not set by default! Project rendering settings – Screen Clear: This is a minor optimization, but every microsecond is worth it! If you always render something on each pixel (you have a Skybox, say) this is worth setting to ‘No Clear’. Be aware that this should only be set for actual builds, since it will cause weird artifacts in the editor asset viewer viewports. 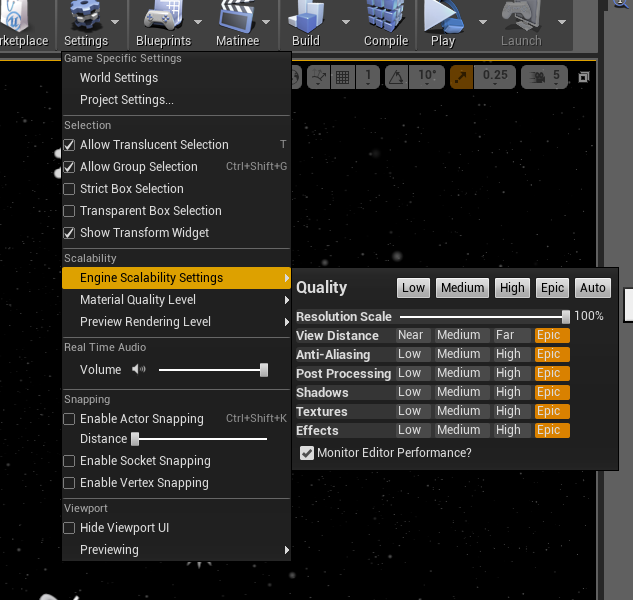 Project rendering settings – Early Z Pass: This is one of the best helpers for the fillrate. This will do more draw calls, but it’s such a huge help for the number of pixels drawn that it is worth enabling. Some frames got as much as 25% speed gain by enabling that! Disable post-processes when not using them: We got some really nice post-processes for some features in our game, but they are not always used. Be sure to remove those from the ‘Blendables’ array when they’re not needed! Shipping Builds: It’s good to remember that your shipping build is going to run a bit faster than your dev build. We’re always looking for ways to improve performance, and we’re not done optimizing, but this should give you a basic idea of how we’re working on FATED: always profile, add one feature at a time, and look for more ways to make the game run ever more smoothly. There is whole section dedicated to performance in the Unreal 4 documentation (https://docs.unrealengine.com/latest/INT/Engine/Performance/index.html); I highly recommend it to those who want further insight! Meanwhile, if you have tips to share, or any questions or comments, send them in and I’ll be happy to address them! ‘Til next time! Following last week’s post, which introduced some basic VR concepts, I thought I would do the same but oriented toward Unreal Engine 4. Since the engine went free a few weeks ago, I bet there are a lot of newcomers who could use a hand! So without further ado, let’s delve into the subject. There are a lot of ways to preview your content in Unreal, two of which are particularly helpful for VR. 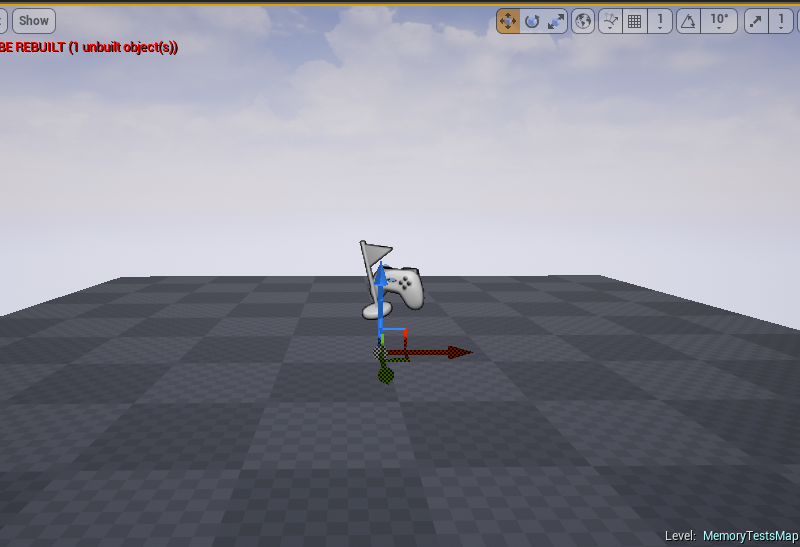 The Play mode can be found in the toolbar above the viewport in the standard Unreal layout. 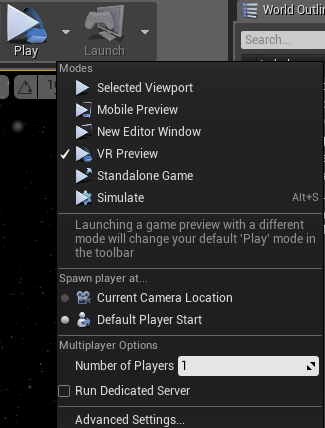 This Play mode starts the game in VR mode directly inside the editor. 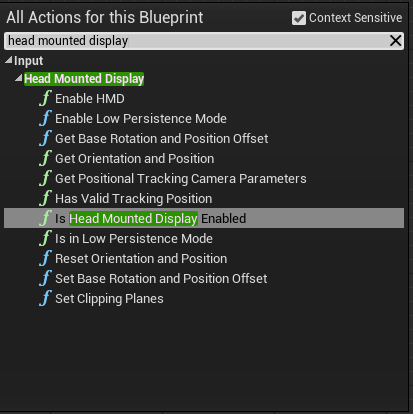 This is new in Unreal 4.7 and is very useful to actually have HMD data inside the editor to debug (in blueprints, for example). This Play mode works well with the Oculus’ Direct to HMD, but it seems to have some issues in extended mode. Prior to 4.7, this was the way to test your VR content. Pressing Alt+Enter starts the stereo rendering. We still use it to profile using Intel GPA. More on our usage of Intel GPA in another post! In the World settings, this value is under the VR category. This is the representation of Unreal units to real-world meters. 100 means that 100 Unreal Units equal 1 meter in real life. For FATED, we played a bit with this value to get the proportions we needed. It is recommended to set this value so that it fits with the real-life measurement of your in-game objects. 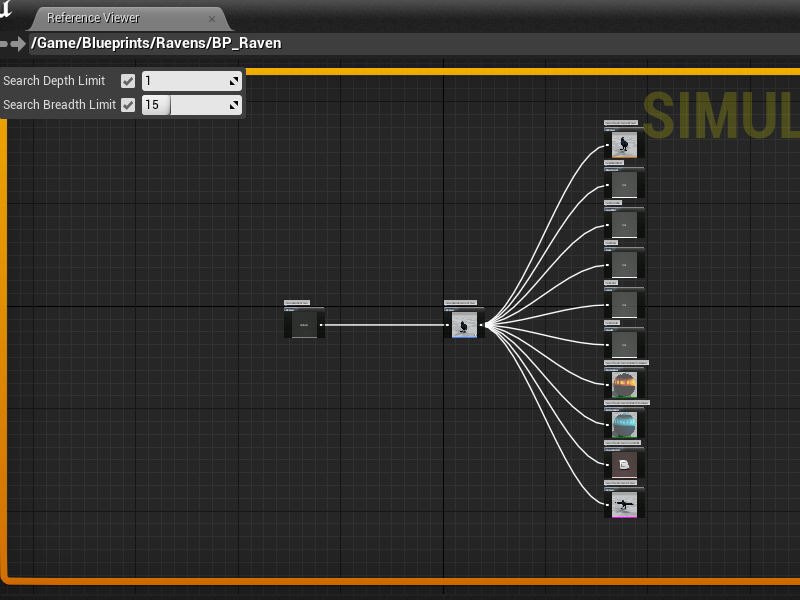 There are a lot of exposed methods to do logic directly inside blueprints. This category should be the first place to look for HMD-related functionalities. You want the editor to stop most of its processing when testing your content. This option can be found under the Editor Preferences in the Miscellaneous section. I feel like I’m repeating myself, but performance is critical in a VR game! Unreal Engine 4 comes with a great scalability features that can help create the range of performance for your game, from your minimum specs to your recommended specs. More on this in a performance post I’m planning to write soon. 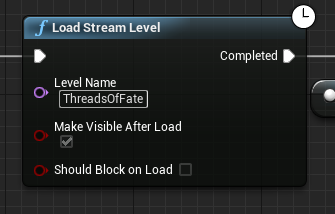 If you’re already familiar with Unreal development, you know about the console and all the commands that can be entered through it. This is also true about the HMD Interface (Head-Mounted Display). Most of these commands are accessed with the “hmd” keyword; here is a list of the ones we use the most in FATED’s development. This command displays info about your HMD. A lot of the stuff I’ve mentioned in my previous post can be seen here. Your current latency, whether positional tracking is activated, whether the camera is detecting the HMD, etc. There is also information on Time Warping, and whether the engine is updating the HMD info in the render thread. These are techniques to reduce latency that come right out of the gate in Unreal 4, making it a top-of-the-line choice for VR development. YYY must be replaced by a number between 30 and 300. This is one of the easiest performance boosters at the expanse of visual quality. To create a better-looking picture, Unreal scales the image before the distortion process, sampling down afterwards to fit your HMD screen. By default it is at 135, but you can easily bring it down to 100 for better performance. It does look better at a higher percentage, though! Deactivating vsync can be useful to track your actual framerate. Figure out if you are render thread-bound or GPU-bound. For FATED, we are pretty much always GPU-bound. Are we running at 75 fps? This will show useful information about the scene’s rendering. You want to keep an eye on the number of draw calls, for example. The ‘show’ commands are useful to hide some elements of your scene to try and figure out how much each of these elements takes to render. ‘Show staticmeshes’ and ‘show postprocessing’ are two examples of commands we used in early profiling. 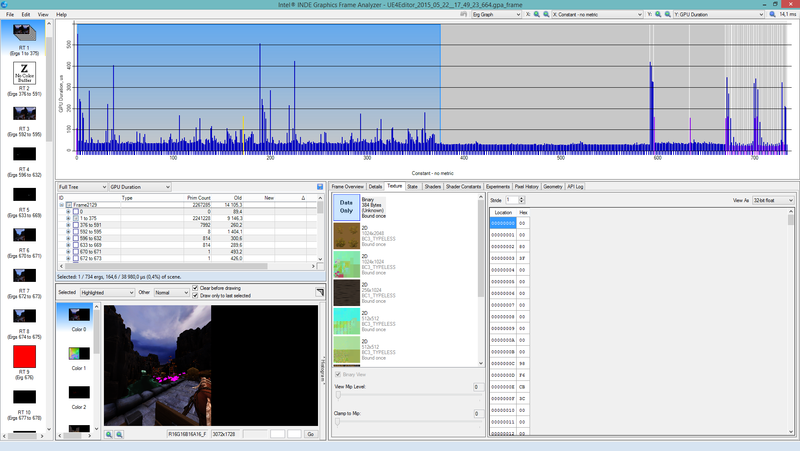 This will launch the Unreal Engine GPU Profiler. You can also do this at any time by pressing [Ctrl+Shift+,]. This is a good one to know about, as it is the first tool you will want to use for GPU performance profiling. It is kind of limited (and the reason we are using Intel GPA for deeper profiling), but it will point out some of the costlier effects in your scene. These are the most useful ones for us, but go digging in there and you’ll find plenty other commands that are useful. That’s it for now! Next time, I will talk a bit more about performance and how we got FATED running on a “normal” rig while still retaining great visuals! Meanwhile, don’t hesitate to comment or ask a question; we’ll be happy to discuss with you guys! Hi, my name is Michaël Dubé, Lead Programmer on the awesome FATED project! Starting a new project is always thrilling and frightening at the same time. 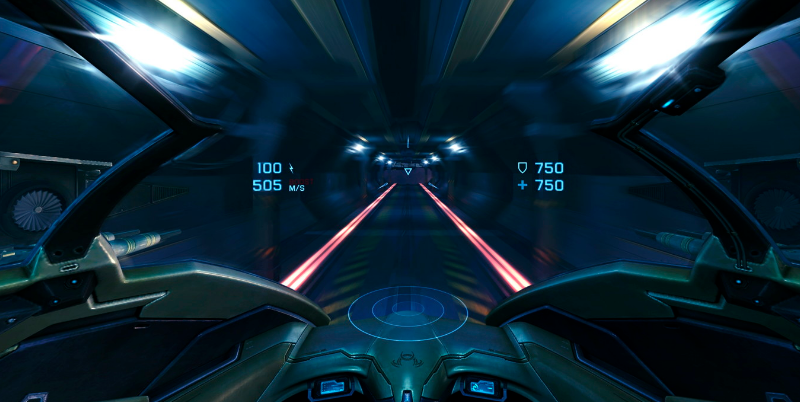 Venturing into virtual reality using a completely new technology, Unreal Engine 4, was something we were mostly excited about, though. Everyone on the team was super hyped for this project (and VR in general), which made the terrifying parts (hello performance!) not so terrible to bear. 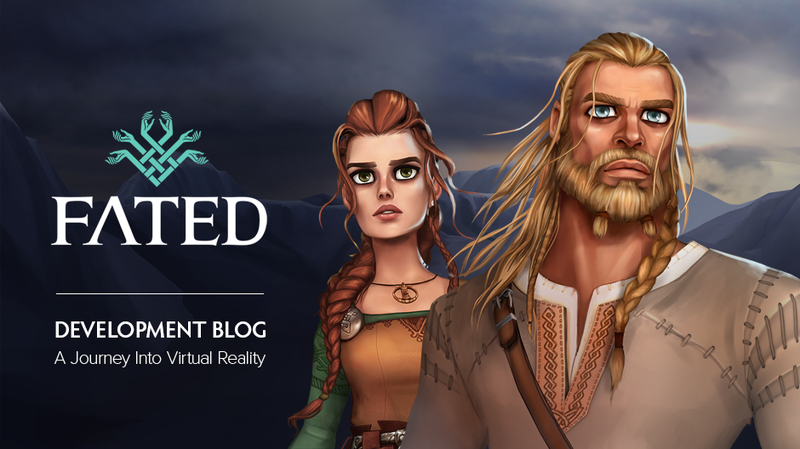 Nevertheless, we learned a lot of really neat stuff during our first months of development, both about UE4 and VR, and my hope is for this blog to be half an entertaining view of the development of our game, and half a chronicle of all the blood and tears we shed to get there. It’s a Viking game after all; you can’t expect it to be all unicorns and rainbows! For this first post, I wanted to keep it simple and talk about some basic but important virtual reality terminology, along with some tips on getting your rig ready to rock this new reality. There are a lot of technical terms that come with VR development; I wanted to recap some of those and what they mean for FATED. Basically, this is the time gap between your movement and its replication on-screen. You will often hear the term ‘motion-to-photons latency’ to talk about that. Low latency is very important in VR, as it is considered a major factor in reducing the effect of the infamous simulation sickness. This is what you absolutely don’t want the user to feel! This is similar to motion sickness (reading in a car) or sea sickness. Research still haven’t pinpointed what exactly causes this, but everything points to cognitive dissonance. As soon as you make the user experience something he doesn’t do in real life, there is a chance it will trigger simulation sickness. 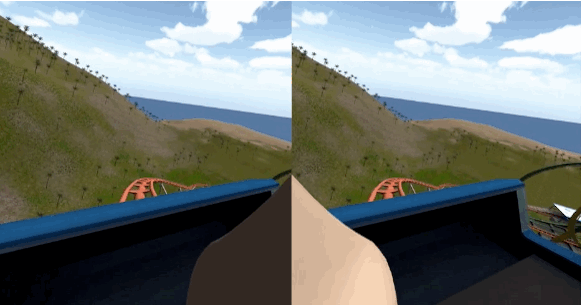 The Oculus Best Practices Guide is a great place to get info on the dos and don’ts. This is one of the reasons the consumer version of the technology will need better resolution. However, for developers this means that we have to take extra care when it comes to performance. We got great performances tips we applied for FATED that I’m eager to share with you! This is the frequency at which the screen refreshes. The DK2 is set at 75 Hz, so basically we need to update the screen at a constant 75 frames per seconds to get the best result. 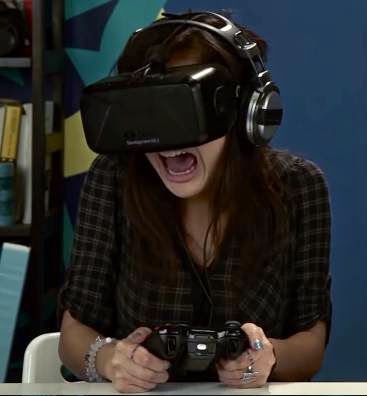 In VR, it is of the utmost importance to keep a steady framerate. Unless you want to make your players sick, that is (which we don’t, we swear!). This is what VR is all about! This is basically tricking your brain in thinking it’s really in your game. We are designing with this principle in mind to create mind-blowing and/or powerful moments for the players to experience. FATED is all about making the player live a meaningful and poignant adventure. Because of this alone, I strongly believe VR is the next step in the narrative medium. Installing the Oculus Runtime is as simple as it gets, but there are some important settings that every VR enthusiast should be aware of. What Direct to HMD does is ensure that the application is synced to the actual refresh rate of your Rift. It also helps reduce latency since the step of going to your desktop is bypassed. While I prefer the simpler Direct to HMD, we are still using the Extended Display Mode on FATED for debugging purpose (more on that in another post!). This is where you can setup some information about yourself to get a better experience. 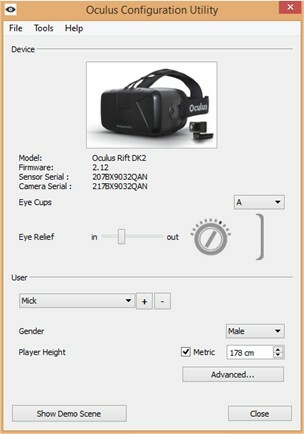 Developers can then use this information to adjust the experience so it better fits the user, like adjusting the camera position using your IPD (interpupillary distance – the distance between your eyes). BEWARE OF THE NVIDIA CONTROL PANEL! If you have an NVIDIA card, chances are you can get a huge performance boost (we definitely saw a difference on some cards) by doing two simple things in the NVIDIA Control Panel. You should of course have the latest drivers before doing that. 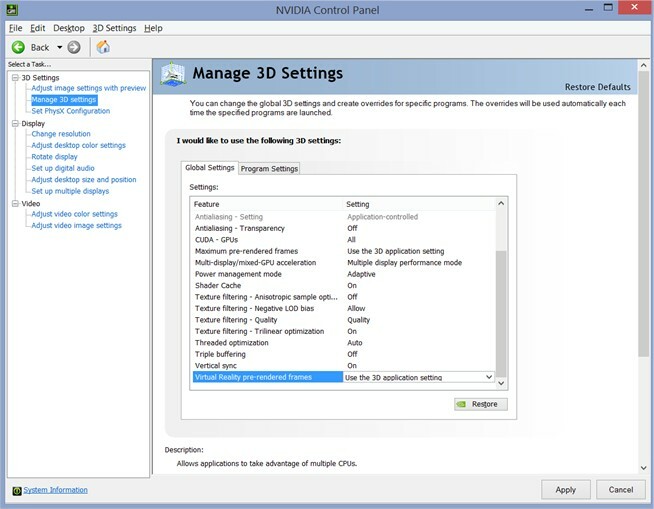 First, in the Manage 3D Settings, there is a “Virtual Reality pre-rendered frames” setting that is set to 1 by default. You want to set that to “Use the 3D application setting”. Also, you will see “Power management mode”. Set that to maximum performance. 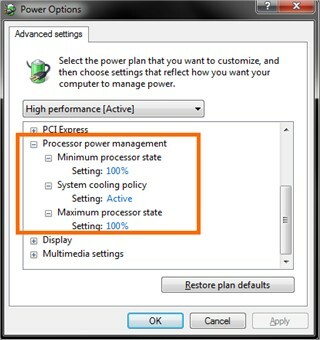 Next, you may want to go in your PC’s Control Panel, in the Power Options, and set your minimum processor state to 100%. The above settings were part of changes I did for FATED when we encountered a problem known on the Unreal forums as the ‘37.5 fps lock’. This lockdown would normally happen if the frame rate drops below 75 frames per seconds, but this was not the case for us and some other developers. Some Oculus staff was involved in pointing this out, and this may not be necessary anymore once the consumer version is ready, but it definitely helped for FATED. Well, that’s all for now. 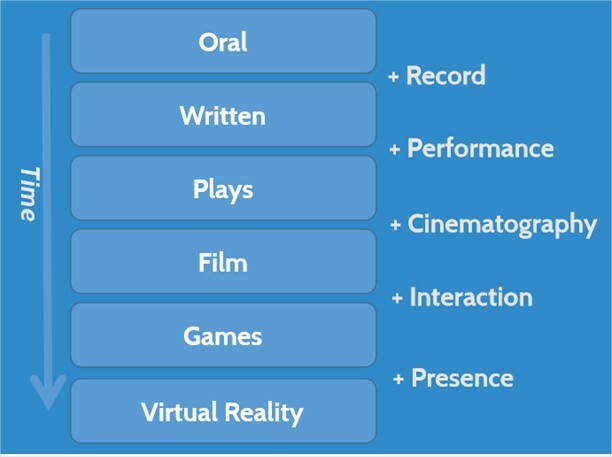 Obviously, there is a lot more to VR, and we will keep adding interesting content to this blog. In the meantime, if you have great tips to share with us or if you have any questions, we’d be happy to hear you out in the comments! Stay tuned for more on FATED!